Further musings on big-screen entertainments I caught in September. Despite her widespread reptutation for making "smart choices," Jodie Foster's resumé gets spottier and spottier, with only the loopy but seriously ambitious Contact and small parts in A Very Long Engagement and the under-appreciated Dangerous Lives of Altar Boys to show for herself after a decade of mostly misfires. Here, as Jodie and her daughter board a massive, two-tiered airplane, all double entendres about the baggage they are carrying fully apply. After the daughter disappears, Jodie becomes her own form of turbulence, assaulting passengers, pilot, and crew alike in her single-minded quest for a girl who may never have existed. The stuff that works best is all in the margins, like a spine-chilling wide shot of a cabin full of passengers staring down two Arabs with an almost tranquil, bovine suspicion. Still, the film goes into a wicked tailspin as the plot pitches forward, and newbie director Robert Schwentkedoubtless having worshipped at the temple of Clarice Starlinghas precious few ideas what to do besides try to let Foster's distressed face carry the movie. Which it can't. Here's a movie I was planning on skipping until so many friends of so many stripes kept insisting that I shouldn't. Thank goodness they said so, and thank goodness I listened, because The 40-Year-Old Virgin is such an arrestingly sweet-tempered comedy, recovering the lost art of finding the absurdity in almost any personality without just holding people up to ridicule or stringing together gags as a rote series of humiliations. Steve Carell, star and also co-writer of the film, anchors an entire cast who uniformly elect to play characters instead of selling jokes, most of which are good enough to sell themselves anyway. And then there's Catherine Keener, nicely vaulting back from her awkward whingeing in The Ballad of Jack and Rose with an open, chuckle-filled performance that blasts her out of typecasting and accomplishes the film's neatest irony: when They finally make a movie about a likable goof who isn't a hero, They don't have to cast an Amazon or a teenager as his love interest but can go instead with a likable, believable, honest-to-God woman. Crass as it is, and subject to some hiccups, this is still a marvelously humane comedy with more laughs per sequence than Hitch or Fever Pitch managed altogether. And now we're really talking, with the uninventable and inexhaustibly layered case history of Timothy Treadwell, self-styled naturalist, failed actor, recovering alcoholic, winsome educator, earnest philanthropist, and jaw-dropping narcissist. Lots of people, it seems, know about Grizzly Man as the movie about the guy who got eaten by the bear, and it's true that most documentarians would find a hard time keeping Treadwell's horrific but weirdly parodic death from upstaging his entire life. 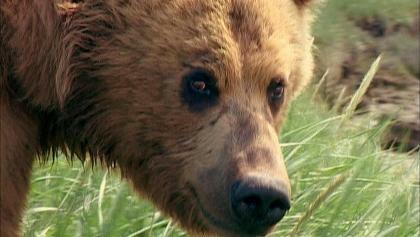 Werner Herzog, however, almost preternaturally in tune with the overreachers and the morbid fantasists of the world, blends Treadwell's own footage of his life among the grizzly bears with some piquant conversations with friends, acquaintances, and nature experts, as well as his own ruminations on the peculiar mania that is filmmaking. Is Herzog's preoccupation with Treadwell any more credible or any less "crazy" than Treadwell's embrace of the ursine? Is a death really senseless when all the evidence points to how happy Timothy must have been to go that way? How does one take the measure of such an eccentric life, caught up as it so fully was in its own self-conscious performance? Grizzly Man plumbs all of these questions with focus, discipline, and surprising dollops of humor, and Treadwell emerges as a compelling prism through which key aspects of our culture are eerily illuminated, even as other faces of Timothy and of ourselves remain frustratingly opaque. Dazzling. Indeed, the year's best. After the ne plus ultra of taboo-busting in Crash and the jocular, Moebius-style meditation on his own career in eXistenZ, where else was David Cronenberg supposed to venture except the unfamiliar frontier of arthouse populism? First Spider and now A History of Violence are quite maddening to me, in that their surgically specific shots, edits, and sonic underlinings could only arise from that trusty, immaculate coterie of professionals that Cronenberg has been spearheading for almost two decades...and yet, for all their technical precision, these recent films dissolve into overly neat revelations and auto-commentaries just at the point when earlier pictures like The Brood or The Fly or Dead Ringers boldly leapt into new planes of implication. Viggo Mortensen and Maria Bello give very strong performances and the imagery is chilling and uncanny so long as the film is still unfolding its central dilemmas and essential textures. Then, rather suddenly, History follows its biggest tonal gamble into farcical violence with an ending gambit straight out of In the Bedroomwhich is to say, one that is much too epigrammatically "provocative" to suit the real nit and grit of what Cronenberg initially set up. He's still a master like few others, but I'm not on the Amy Taubin trainhis movies aren't getting better, just broader.